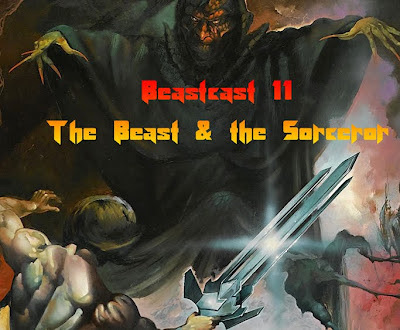 New Beastcast where I rant about the abbysimal sequel to "The Sword & the Sorceror" talk about kickstarter projects and talk to shintai about anime and movies. Just to let you know (Publicly I might add) I have begun searching for the Lexx DVD set as it is on sale. Those 2 movies with the triblade guy sound like they need drunken commentarys from us both. Although the 2nd one sounds like it needs Beauty & Warrior style heavy drinking. The first one I would riff gladly. The second one would need dangerous amounts of alcohol to endure. Im not sure Im up for that. Once you get the LExx DVD youll love it, Im sure of it. Beastcast 9 - Roll D20 for awesome! Beastcast 8 - Hello again True Believers!